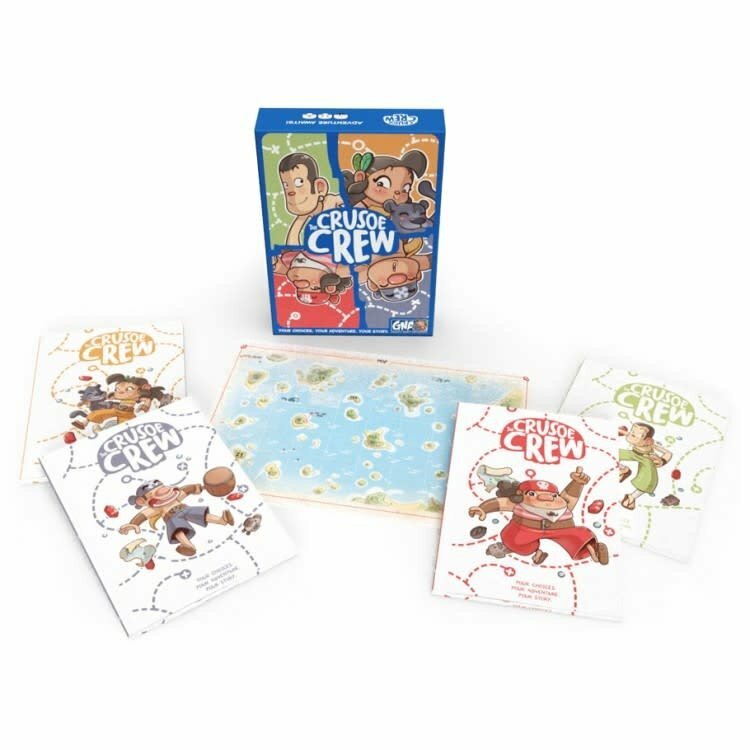 In The Crusoe Crew players choose one of four characters to play in an immersive story in which your team's choices guide your progress. Each player has their own graphic novel and their own special talent! The team has a character sheet that tracks your possessions, your coins, and your victory points. Gameplay is highly interactive and consists of searching for treasures by exploring islands that contain clues, riddles and traps. Players will have to work as a team and will be making choices about where to go and what to do in this amazing adventure game that is fun for all ages.